Newly Designed. 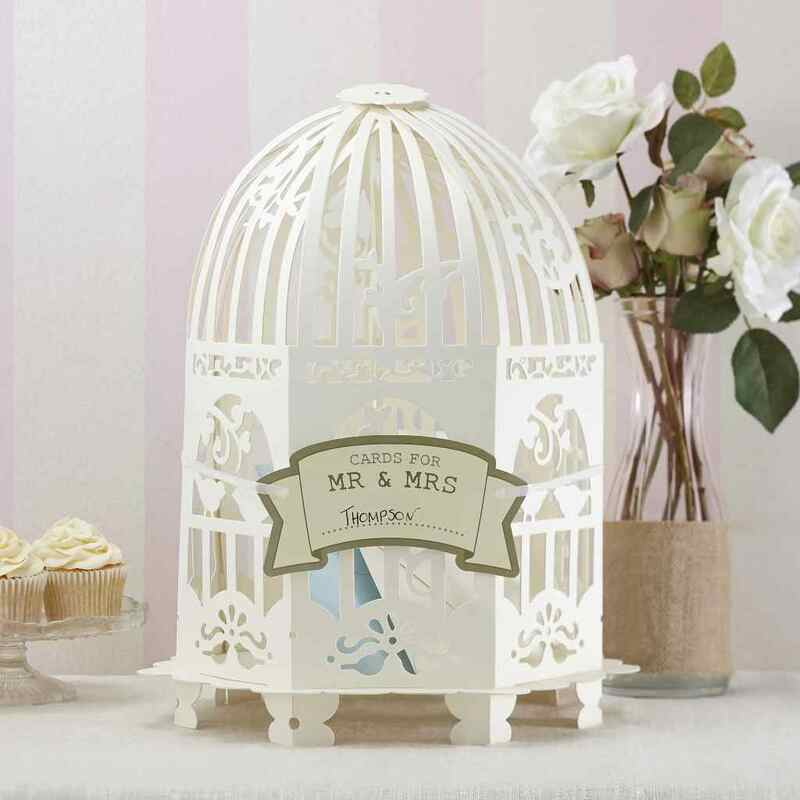 This exquisite heavy card Birdcage wedding Post Box is a fabulous place for dropping cards in - a romantic post box! 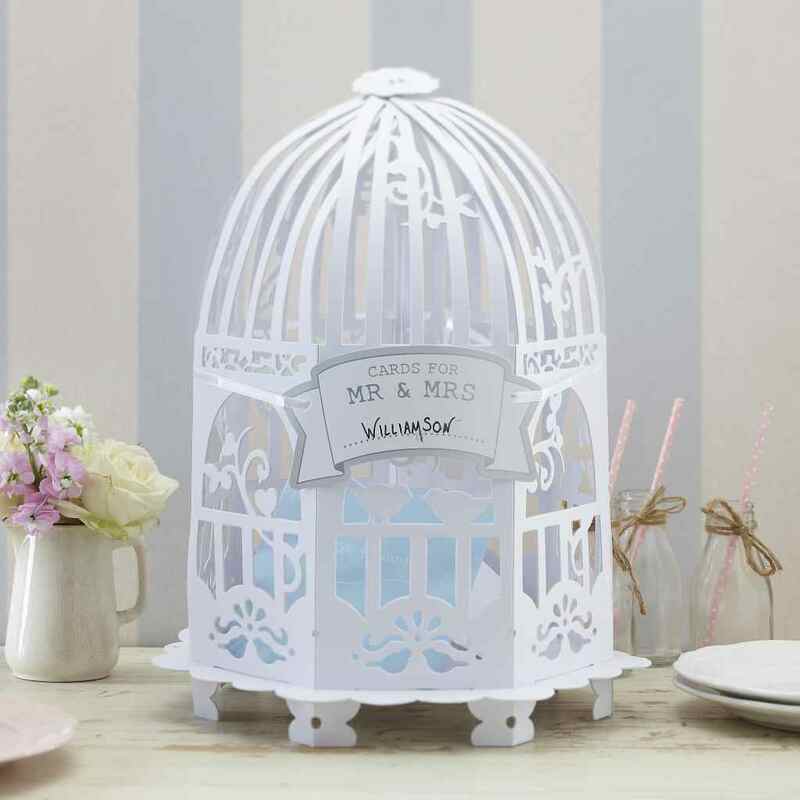 Comes complete with a Mr & Mrs sign to place on the front of the birdcage. It is packed flat and simple to put together. Available in White and Ivory. The Birdcage is 400x330mm, height 330mm when assembled.